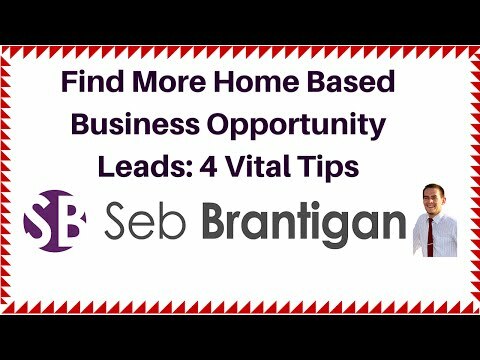 Hi there it’s Seb and if you’re on this video you’re most likely looking for ways to generate home based business opportunity leads and in this video I’m going to share some tips with you that’s going to help you to generate your own quality leads for free and get your business to the next level. About 4 or 5 years ago I was kinda in your shoes, I was really struggling to generate any leads and had completely burnt out my warm market. So I went to the Internet and did some research, and trying to find out ways I can actually generate leads and get people to take a serious look at what I was doing with my business. If you’re in that same place then this information is really going to benefit you. From my own experience this is what I’ve come up with in regards to generating leads and what I really know about it. So I want to start with buying leads, now there’s a lot of misconceptions about buying leads. There’s a big problem because a lot of lead generation companies, some of them but not all of them, some of them do tend to re use the same leads and the information about the leads is not always accurate. So from my experience of going out there and purchasing a couple of hundred leads and email addresses have been invalid, phone numbers have been disconnected. People move from time to time, and pass away or whatever so a lot of the information if it’s not regularly updated kinda renders a lot of the leads useless so that really dilutes any chance of success, because you’ve got less people to talk to. Now the good thing I would say there about buying leads is you do get a tonne of practice talking to people on the phone. So if you bought 300 leads and let’s say only 200 of them had working phone numbers, well that’s still 200 people to practice on and talk to about your opportunity but I would say in regards to generating leads to get them to join your business I would actually do that instead of buying leads. So i’m going to talk about that very quickly. So why should you generate your own leads? It’s very simple, it’s just higher quality. If you generate your own leads you kinda know the source and you know where they’e come from, so I just think generating your own leads is a lot more reliable instead of you having to rely on leads companies to try and do everything for you. It’s a lot better to have that skillset so you can then pass it down to your team. There’s different types of lead generation that we can do, so we can do free marketing or paid marketing. Free marketing is prospecting in shopping centres or messaging friends and family on Facebook about your business. 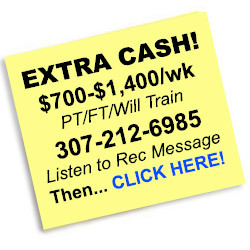 Paid marketing is billboard advertisements or Facebook paid marketing. So the strategy I recommend you choose, pick one until you master it and you’re generating at least 10 quality leads a day with that strategy, but it really depends on whether you have more free time or more free money to invest in your business. You’re gonna have to pick one or the other to invest, so if you have more free time do a free strategy, if you have more money do a paid strategy. So how do we actually generate leads? Well there’s so many different ways we can do this, so at this website here www.MLMSuccessWithSeb.com I’ve actually put together a free training which is going to show you 10 different ways in which you generate leads starting from today for free that is really going to benefit you. It’s going to help you get more results in your business because it’s just going to show you the way without any mess, without any trial and error on your part. You just literally take this information, apply it to your business and generate leads. And so that’s what I recommend you do right now, go to my website and get the free training and you get some more free goodies as well. As I’m going to show you not only how to generate your own leads but get them sold on you from the beginning with something that we call attraction marketing and I’m gonna explain that if you go to this training we’ll teach you attraction marketing and how to use it in your business which is what all top earners use. But for now if you go to my website you’ll get the free training that’s gonna help you generate more home based business opportunity leads. Thanks and I’ll see you in the next video – if you liked this video please like, comment, share and add to one of your playlists. .